In today’s real estate market, more potential home buyers are deciding on whether or not they would actually want to become home owners. The debate between renting and buying is very popular, and based on your current financial standing and other personal reasons or goals, you may choose to rent. Not everyone wants to be or is cut out to be a home owner, and that is perfectly fine, but those who chose to own a home will receive many benefits. When people think about owning a home more often than not they think about how expensive it will be. This comes with the territory of being a home owner, but the money you spend on your monthly mortgage builds equity. Every month you make a mortgage payment is one month closer to owning your home outright. Some people look at home equity as a savings account (in a way) due to the fact that in the future, if you ever need to, you can take out a home equity loan. Property and pieces of real estate are great investments, and your home is no different. Although the housing market fluctuates in the short-term, staying in your home over a long period of time will more than likely give you a great initial return on your initial investment. Depending on the location of your home and how long you own it, the value can increase substantially which will make you a great deal of money if you were to sell it. Another great financial benefit of being a home owner is that there are tax deductions. As a home owner, your income taxes are reduced. The interest and property tax payments made on your home may be deductible from your federal income tax, and possibly even state taxes. In the first few years of you mortgage loan, the majority of the payment is interest, so this allows you to get a significant amount of money back at the end of the year. This is a big part of becoming a home owner. Some people make the assumption that because you rent you are “throwing away your money”. While I personally do not see it this way, I also think that if you are able to purchase a home it would be a better idea. More often than not it is cheaper to own a home (depending on the market) over the long run, and after a few years of making mortgage payments, the interest on your loan will become lower than what you have been paying for rent. The old sayings “there’s no place like home” or “home is where the heart is” applies here 100%. 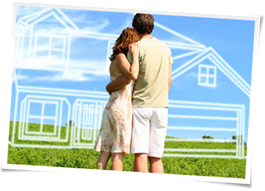 One of the biggest benefits of being a home owner is that you have a place to call yours. When you own a home you are free to make whatever changes and improve whatever you feel necessary to your liking. Want to paint all the walls purple? Go ahead! It’s your home to do what you want. Being able to call yourself a home owner is one of the best feelings in the world. Although owning a home can at time be a headache, it is well worth it at the end of a long work day to go home and kick back in what is YOUR home.